It seems appropriate to kick off this list in China’s capital city. 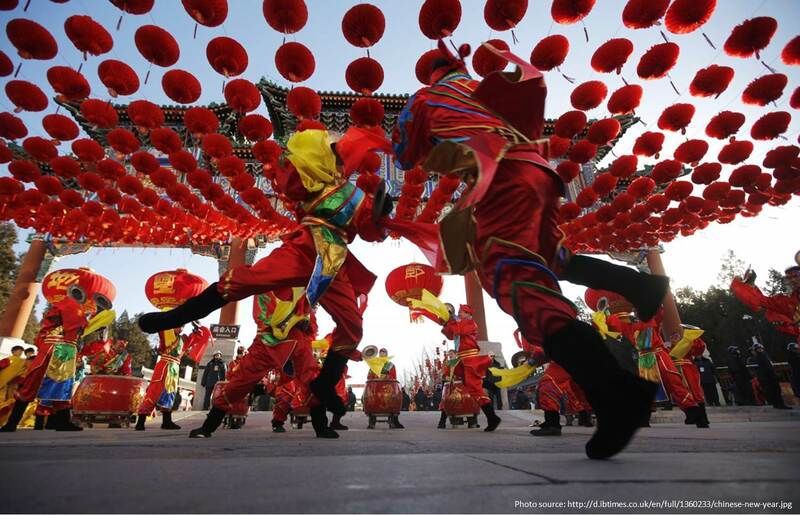 In Beijing Chinese New Year is regarded as a family festival, you could find a family and join them for the festivities or you can explore China’s capital, Beijing’s temples and parks usually hosts many carnivals and sideshows. 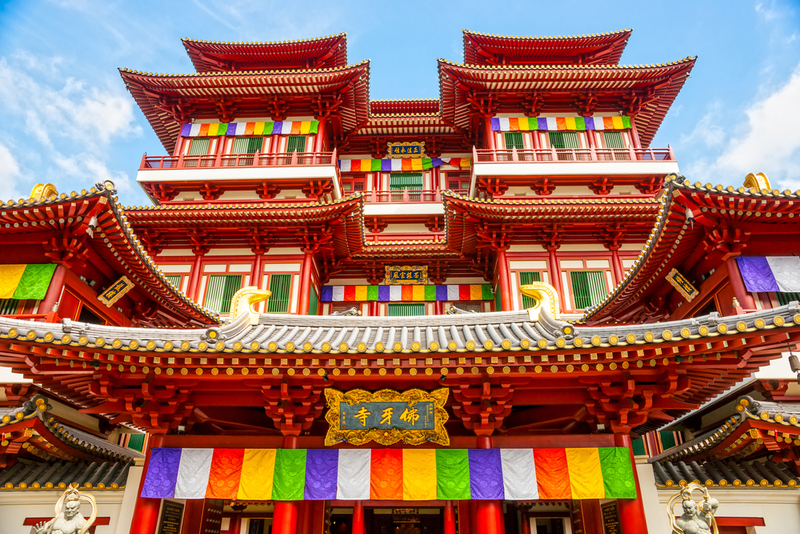 Chinatown is the place to be in Singapore during this festive time of the year. The bulk of the festivities take place in Chinatown where lights and Chinese lanterns illuminate the streets. There are also parades consisting of phenomenal performances and lion dances much to the delight of locals and travelers alike. Deemed the Pearl of the Orient, the island-city of Penang is one of the best places to celebrate Chinese New Year in Malaysia and it is also home to a unique festive tradition. 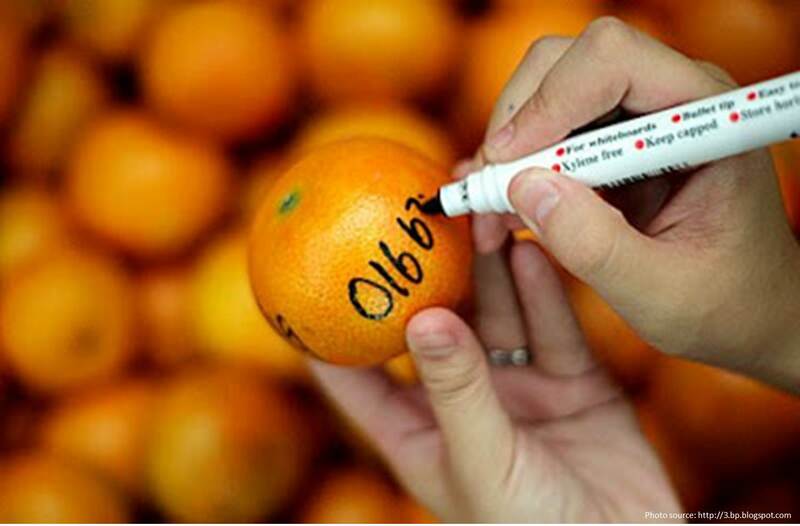 On the 15th day of Chinese New Year (Chap Goh Mei), single women write their contact details on oranges and throw them into the sea in hopes of finding a good husband. Now whether or not this works, who cares? Get into the festivities and play along! Every year during Chinese New Year people gather at Longhua Temple in Shanghai to witness the bronze bell ringing. The bell will ring for 108 times as a sign of good luck, wealth and fortune for the New Year. There’s also the beautiful lantern parade on the 15th day of Chinese New Year at the Yu Yuan Old Town Bazaar. Most probably one of the most extravagant displays of Chinese New Year festivities, Hong Kong celebrates the Lunar New Year the only way it knows how – loud and proud. 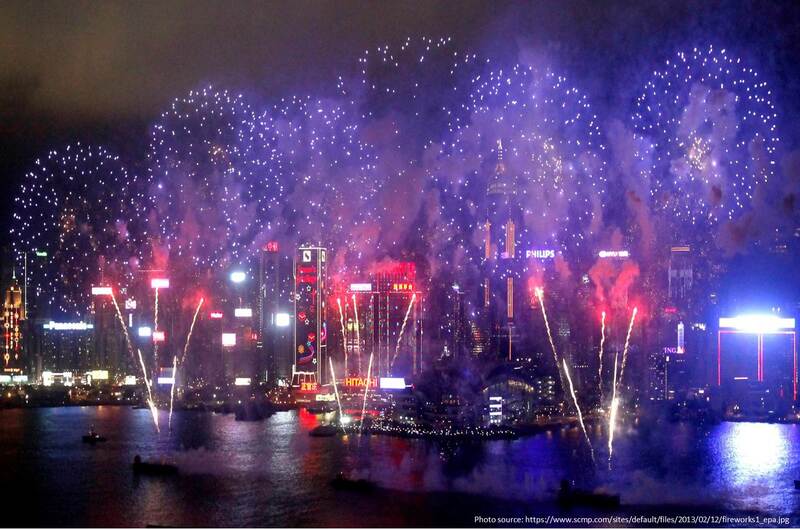 If you are ever in Hong Kong during Chinese New Year then you must catch the breath-taking fireworks display at Victoria Harbour and the various parades flooding the streets during the first few days of the festival. 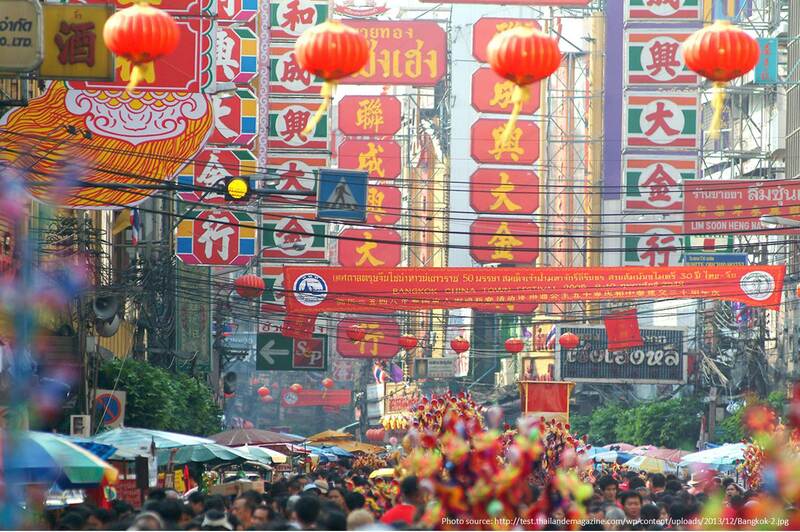 Don’t be so surprised, Bangkok is home to the largest Chinatown in Thailand so it only make sense that it hosts the yearly Chinese New Year celebration here. Chinatown will be adorned by hanging red lanterns this time of the year, while an extravagant parade march through the streets. Also, feast on the yummy street food from the various food stalls along the streets of Chinatown at all hours of the day. 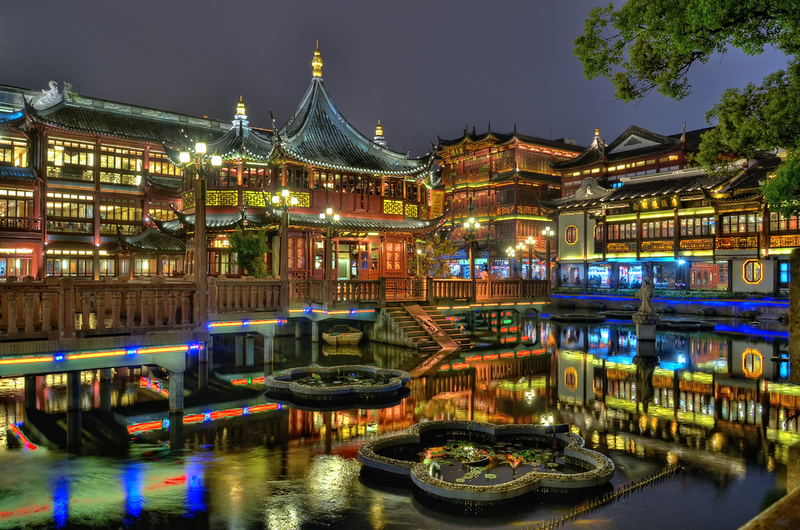 Kuala Lumpur is one of the many cities outside of China that is home to a large ethnic Chinese population. 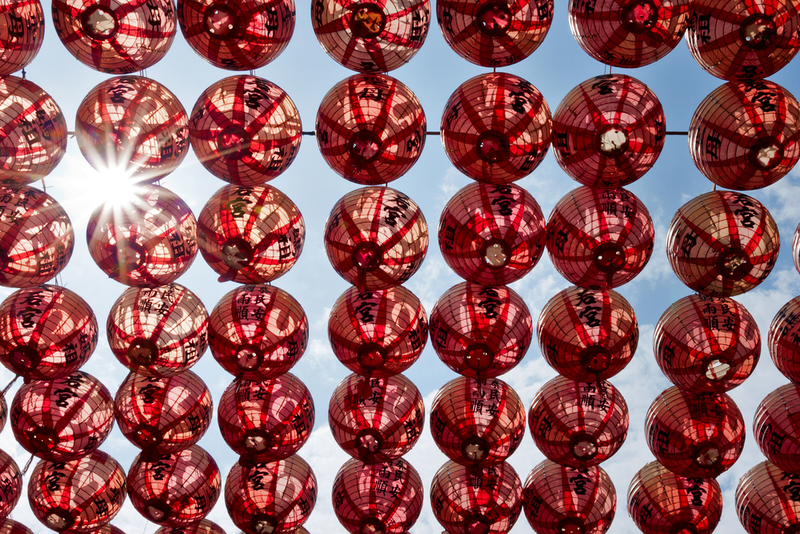 During Chinese New Year visit Thean Hou temple where you will be greeted by a blanket of hanging red lanterns, truly a beautiful sight. 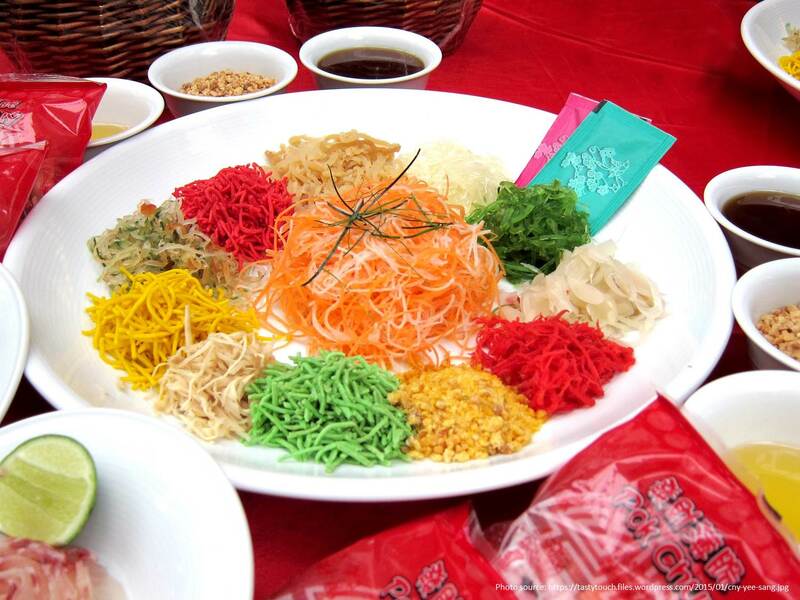 One of the most popular Chinese New Year traditions in Malaysia, tossing and eating Yee Sang; a colourful raw fish salad served as an appetizer at most Chinese restaurants during the Chinese New Year. The highlight of the Chinese New Year celebrations in Taiwan is the spectacular Lantern Festival, this year it will be held in several different locations across the country. The Lantern Festival usually marks the end of the 15 day Chinese New Year celebrations. So grab a lantern and join in the festivities! I am going to Phnom Phen in mid April 2015. Please let me know what is interesting or things to explore in Phnom Penh. Thank you.